What Golf Grip is Best for You? One of the most crucial factors in playing good golf is also one of the most neglected aspects of your game. I’ll be the first to admit that the golf grip is not the most riveting topic out there. Nevertheless, how you hold your club affects countless aspects of your swing, from the shape of your motion to the power of your impact. Gripping the club correctly gives you a much better chance at a quality shot. I’m going to explain how each grip works and how to determine which one is right for you. I’ll also tell which of these grips could help you finally stop slicing the ball. Hold the club with your fingers. Do not grip with your palms. It can be so easy to let that club handle slip into your palms. Maybe that feels more natural to you. Maybe it just feels more secure. Regardless, you cannot get a quality swing by holding the club in your palms. No matter which if these golf grips is right for you, remember to let your fingers do the work. This very simple golf grip has one straightforward benefit. It helps you hold onto the club and swing it with ease, even if you have limited arm strength. The ten-finger golf grip (also known as the baseball grip) is exactly what it sounds like: All ten fingers on the handle. Grip the top of the handle with the fingers of your lead hand. Wrap the fingers of your trail hand around the handle immediately below the lead hand. Be sure your bottom hand covers the thumb of your top hand. This last point is crucial. One of the most common mistakes I see with the ten-finger grip is placing the hands too far apart, leaving the lead thumb exposed. A gap between the hands will create a lot of problems in your swing. So make a point of covering that lead thumb, butting your hands right up against one another. 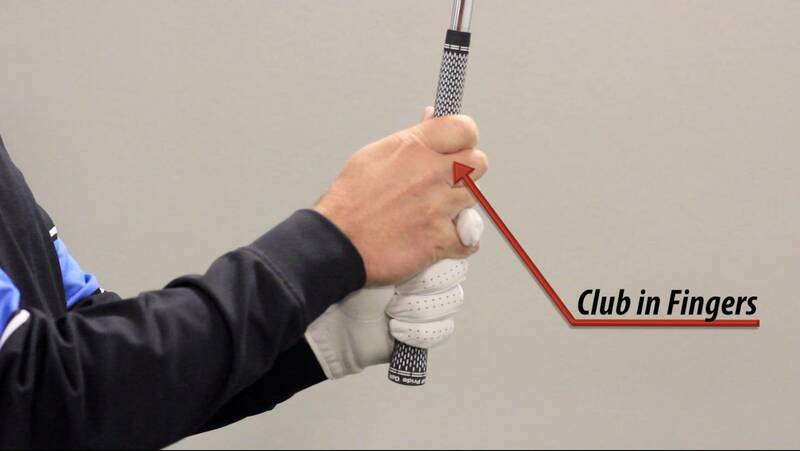 The ten-finger golf grip is most popular among golfers who have a little less arm strength. For example, if you’re teaching your kids how to golf, this is a great place to start. Some women golfers prefer the ten-finger grip as well. 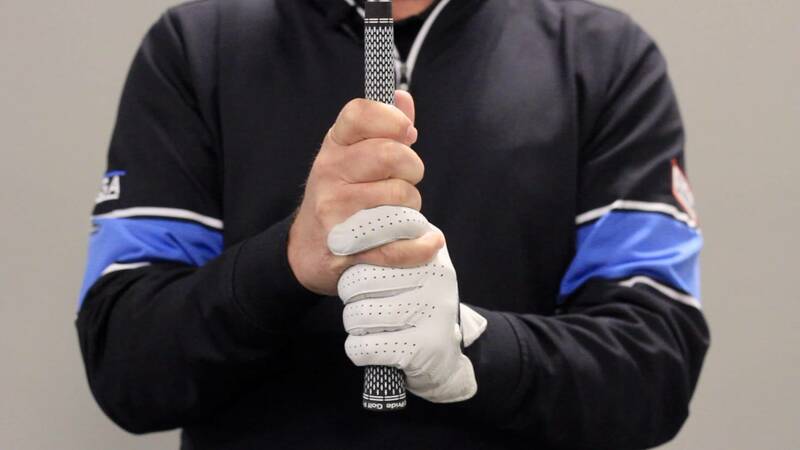 The overlap golf grip is a great solution to that problem of hand separation. The very nature of this hold heightens your awareness of hand placement and helps you maintain stability in your grip. The only difference between the overlap grip and the ten-finger grip is—you guessed it—an overlapping finger. Be sure your bottom hand covers the thumb of your lead hand. Overlap the little finger of your lower hand over the index of your upper hand. That little finger should rest right between the index and middle fingers of your lead hand. If only one of these golf grips is already familiar to you, it’s most likely this one. The overlap grip is very popular among golfers of varying skill levels. More specifically, this is the grip I most commonly teach to my avid golfers. For any student invested in playing golf at the highest level, I favor the overlap golf grip. Despite the huge popularity of the overlap grip, some of the world’s best players prefer the interlock golf grip. The greatest benefit to this hold is an even more secure hand placement. The interlock golf grip is essentially the same as the overlap grip, except that the lead index finger locks in with the trail pinky. Untuck the lead index finger out from beneath your trail fingers and lock it into place resting between the little and index fingers of your trail hand. You can see how secure this grip feels. However, take note: It is especially easy to let the handle slide into your palms when you use the interlock grip. 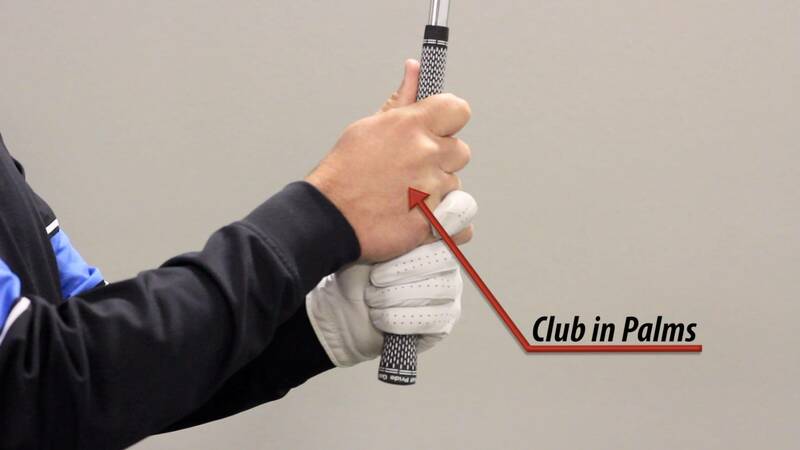 If this is your preferred way to hold the club, be sure to be vigilant about keeping the grip in your fingers. 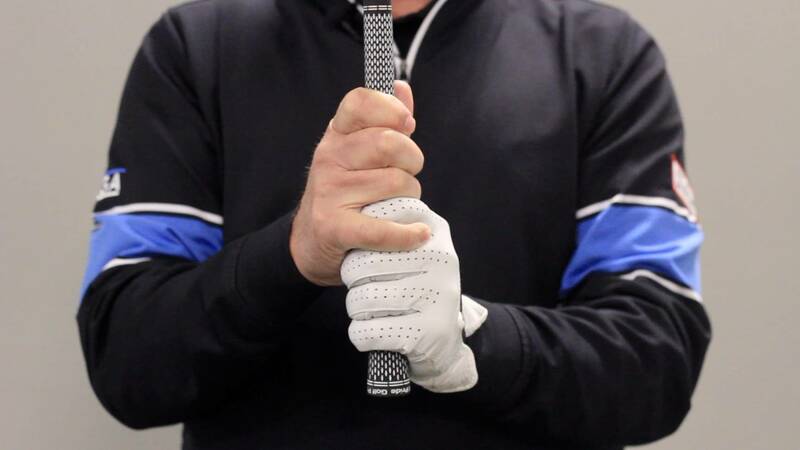 The interlock golf grip is especially popular among golfers with smaller hands or shorter fingers, as it helps them keep their hands in place. There are a lot of reasons you might be slicing the golf ball. If this is an ongoing frustration in your game, check out our YouTube channel. In fact, we have some extensive information on what could be causing your slice and how to fix it. That said, if you’re not looking to do a lot of practice drills and you just want a quick fix, the ten-finger grip could be your (short-term) solution. While it can’t correct fundamental errors in your swing, this grip does help you rotate that clubface a little more closed at impact. A slightly closed clubface will get your ball flying straighter for a shot that inspires a little less club-flinging. Whether you might be gripping incorrectly or just may not be aware of a hold that could serve you better, it’s worth understanding your golf grip options more clearly. The ten-finger grip is great for anyone who may have less-than-average arm strength. This grip is done by holding the club in all ten fingers with the lead hand on top and the trail hand covering the lead thumb. The overlap grip is the most popular grip, especially among avid golfers. This is essentially the same as the ten-finger grip. The only difference is that the pinky of the trail hand overlaps the index finger of the lead hand. The interlock grip is often used by golfers who have shorter fingers or smaller hands. This hold takes the overlap grip and adds a little extra security by locking the trail pinky and lead index finger together. Even if you haven’t noticed any problems with your grip, I recommend taking the time to review these options. 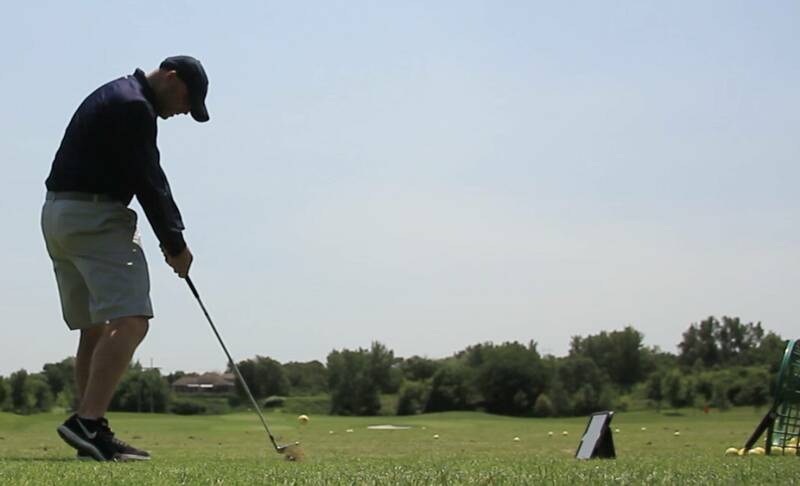 Taking a closer look at the way you hold the club can be a meaningful first step toward improving your game. What’s your preferred golf grip? Is there anything here you disagree with? Do you have any questions? Please drop us a line in the comments to let us know what you’re thinking. Especially take a moment to chime in if you need any clarification or have any follow-up questions. I do my best to respond to every question, so if you want more information, all you have to do is ask!